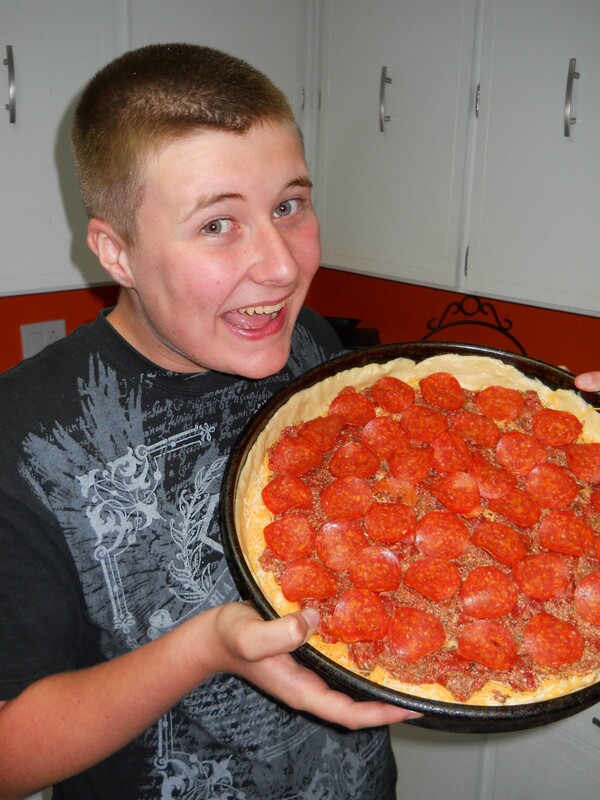 Pizza: What’s thick and cheesy with meat all over? When it’s just Dad and I home alone we like to play around in the kitchen and test new recipes for our favorite foods. 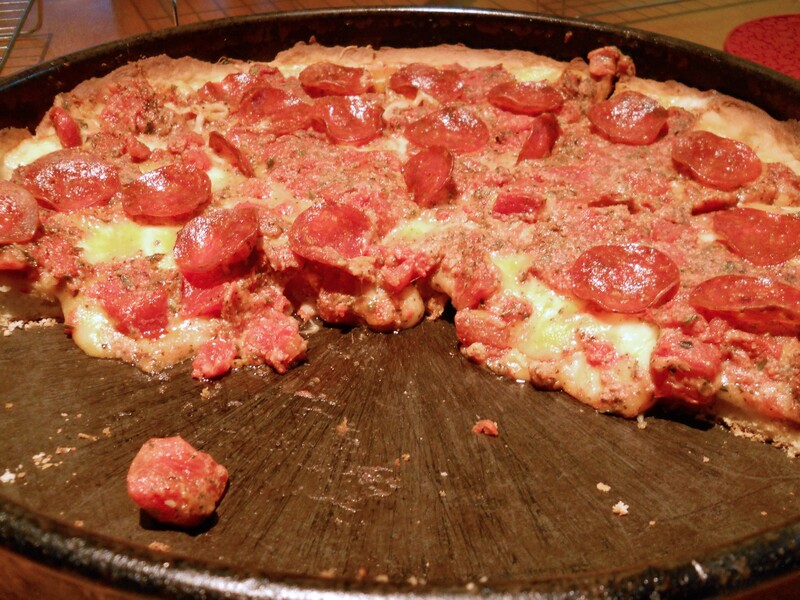 Last night we decided to try our best to make an authentic Chicago deep dish pizza. But, this time we were feeling lucky…..
And placed it in the oven to cook. 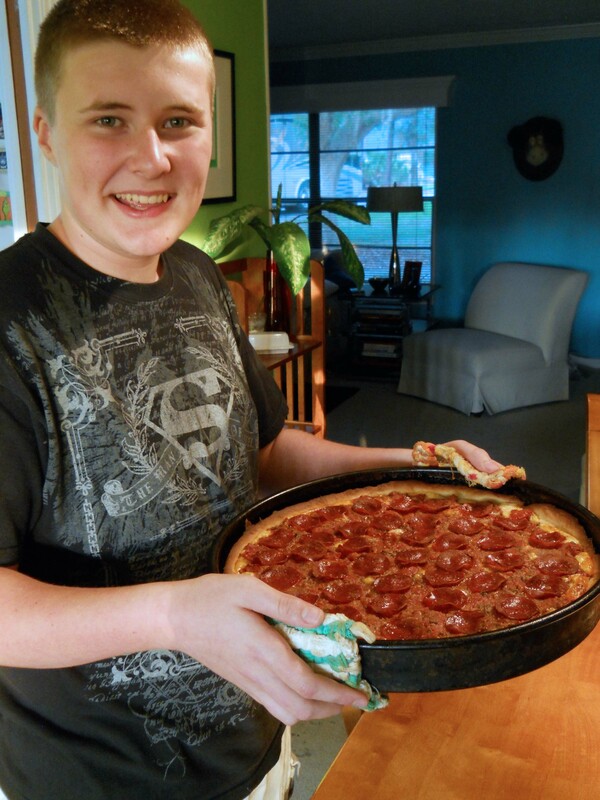 20 minutes later…..
Samuel L. Collins creates an amazing Chicago deep-dish pizza! WOW, we hit a home run on this one. The crust was finally JUST RIGHT! It was thick but not gooey, tasty with a hint of sweet dough, and slightly crispy on the bottom. The toppings added the right amount of cheese and meat flavors. All in all, it was AMAZING! I could only eat one piece. We have some left overs; come on over. Yum, don’t you want some!